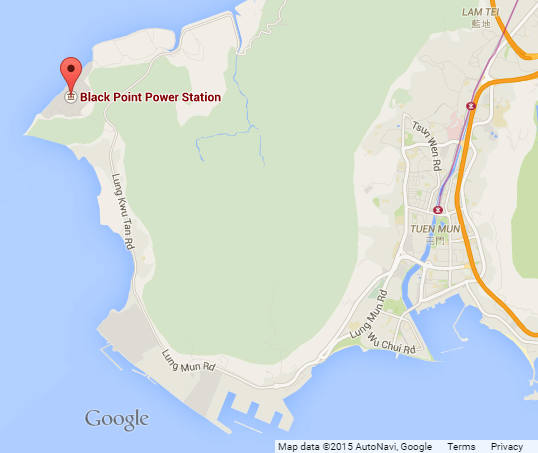 IDJ: Black Point Power Station located near Tuen Mun at the western edge of the New Territories was planned in the 1990s to ensure the security of electricity supplies into the 21st century. It serves to diversify the power company’s power and fuel sources by adding large gas fired CCGT (Combined Cycle Gas Turbines) to its conventional coal-fired thermal power station. 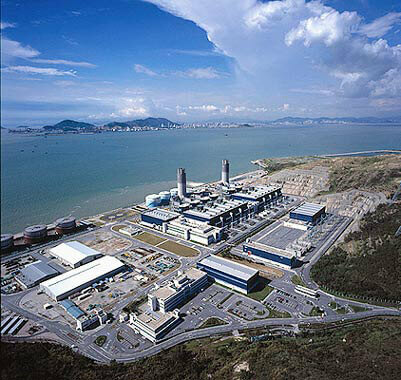 The Black Point 2,500MW combined cycle project was the first natural gas-fired power station in Hong Kong. When completed in 2004 it was one of the world’s largest gas-fired combined cycle power stations. 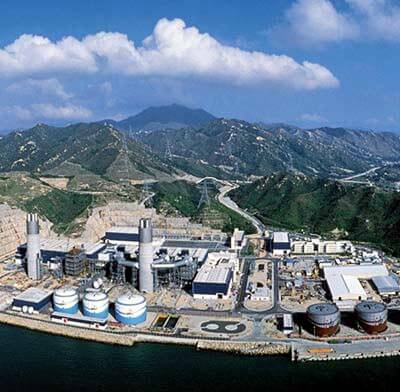 It is owned by the Castle Peak Power Company Limited (CAPCO), a joint venture between CLP Power Hong Kong Limited (70%) and China Southern Power Grid International (HK) Co., Limited (30%). The use of natural gas has enabled a substantial reduction in total exhaust gas emissions. Natural gas is supplied from Yacheng 13-1, an offshore field near Hainan Island. It is transported across the South China Sea to Black Point in a 755km pipeline, the world’s second largest sub-sea system according to its Yacheng sponsors. A separate 100km pipeline serves Hainan. Gas production began in 1996. Combined cycle power plant as the name suggests, combines existing gas turbine and steam technologies into one unit, yielding significant improvements in thermal efficiency over conventional steam plant. In a CCGT plant the thermal efficiency is extended to approximately 50-60 per cent, by piping the exhaust gas from the gas turbine into a heat recovery steam generator and then a steam turbine to drive an electrical generator. Mouchel Asia was awarded the contract for carrying out the civil design. 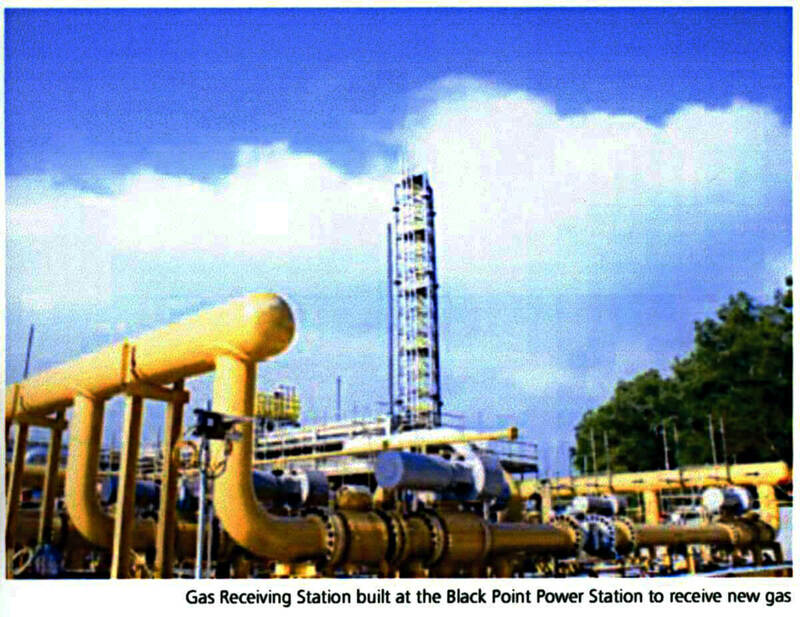 Site work on the Black Point project began in early 1993 with site formation carried out by Shui On Contractors. Piled foundations for the major building areas were constructed by Franki Contractors. Maeda-CSCEC joint-venture were awarded the main civil works contract, and Leighton Contractors (Asia) was awarded contracts for the concrete chimneys and cooling water intake systems. The partnership of Alstom from France and General Electric Company in the USA won the lead generating equipment supply contract. The scope of supply centred on eight 312MW gas turbines, manufactured at Alstom’s Belfort plant in France, and GEC’s domestic gas turbine base in Greenville, South Carolina. 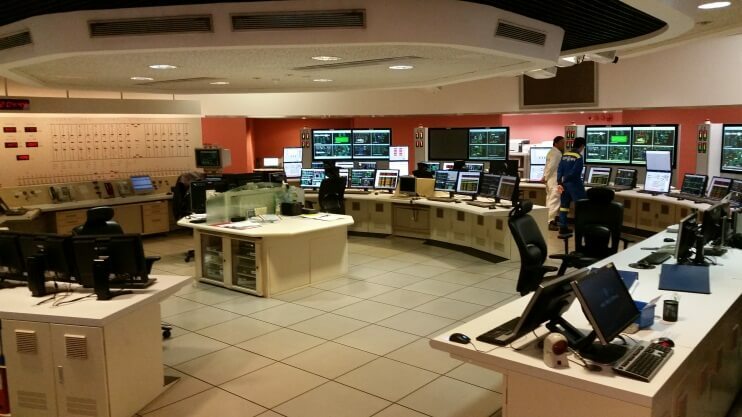 Alstom also supplied the steam turbines, overall plant engineering and balance of plant equipment. GEC’s Schenectady, New York, plant provided the electrical generators. The project was an important advance for the heavy duty ‘F’ gas turbine technology the partners had jointly developed. Alstom also provided the electrical, control and instrumentation systems and the heat recovery steam generators were supplied by Mitsui Babcock. The first units went online generating electricity in 1996 and all were completed by 2004. This article was first posted on 17th April 2015.